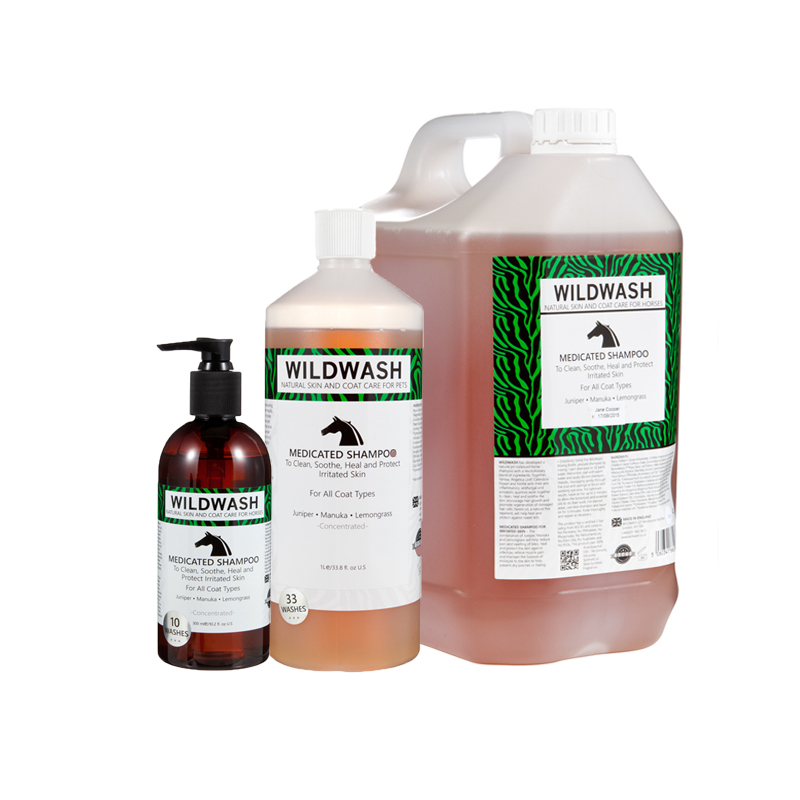 WildWash Horse Shampoo cleans, heals & protects irritated skin & is suitable for all coat types. WildWash has developed a natural pH balanced horse shampoo with a revolutionary blend of ingredients. Together, Yarrow, Angelica Leaf, Calendula Flower and Nettle with their anti inflammatory, antifungal and antiseptic qualities work together to clean, heal and soothe the skin, encourage hair growth and promote regeneration of damaged hair cells. Neem oil, a natural flea repellent, will help heal and protect against sweet itch. The combination of Juniper, Manuka and Lemongrass in the Medicated shampoo will help reduce pain and swelling of bites, heal and protect the skin against infection, relieve muscle pain and maintain the balance of moisture to the skin to help prevent dry patches or flaking.